It has been almost a decade since I started this little enterprise of mine! 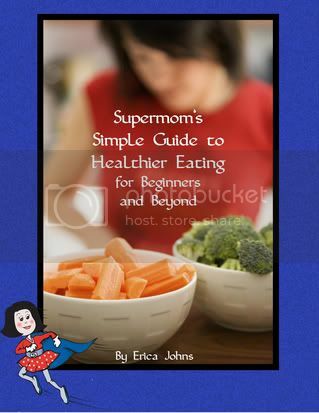 Through the No-Lice spray, the ebooks, my online class, and all the products, Supermom's Health and Wellness has grown and changed as I have learned and grown and changed right along with it. In the past year or two it has become increasingly evident to me that the time has come for me to shift gears. With the needs of my growing family (2 kids now grown and launched, 4 still at home, and now I'm even a grandmother!) I have had to pull back from what I could offer here to you folks in terms of recipes, classes, articles, and really anything. :( With all of the homeschooling and working and mothering and homemaking and wedding planning and everything else, I haven't had much left to give you dear folks. This has been a source of sadness for me, because I do appreciate all of you and the great support and encouragement you have been to me in this endeavor. With the policy changes at my biggest wholesaler, I was prevented from being able to offer you good sales and deals, which I had enjoyed doing for you in the past. That created an additional barrier that I didn't feel I could overcome, and indeed has proven to slow down sales greatly. Finally, I have come to the conclusion that it is time for me to close down the product-selling part of this business. I have been given special permission from our wholesale source to liquidate inventory, so finally (!) we get to have a decent sale. :) Every single thing in the store is now marked down for you. I've also indicated on each product how many of each item we have left in stock so you can keep that in mind while deciding how much to buy. Free Shipping for orders of at least $30 is still available as well. I'll be removing items from the site as they sell out, and I'll be doing my best to update quantities as things sell as well. It would be such a blessing to me and my family if we could get everything sold and off to your homes before our school year begins, so we can have a clean slate with this aspect of the many things we have going on. So if we still have things you use, would you take advantage of this opportunity and help me clear the shelves? Bee Shade: You'll love this all summer long! There are three things that health-conscious families always seem to be looking for: toothpaste, deodorant, and sunscreen! I am so excited about this new sunscreen product that is available to you while you enjoy the great outdoors. Bee Shade will protect your skin from sun damage without exposing you to the dangerous ingredients found in most sunscreens. The barrier-providing active ingredients are Titanium Dioxide and Zinc Oxide. Bee Shade is so pleasant to use. The scent is light and not overpowering at all. It rubs into the skin nicely and doesn't leave chalky streaks. My family really appreciates that! Bee Shade has an SPF rating of 30 and it comes in an 8 ounce bottle. Highly recommended! My family has enjoyed using the Superkids liquid multivitamins for years, but having to remember to get the liquid out of the fridge made us forget about it a lot of the time. 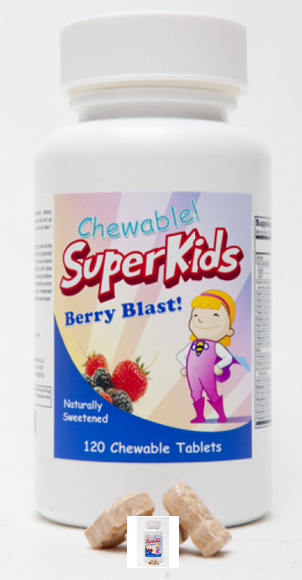 I am SO excited to finally have a chewable Superkids that I can add to our vitamin organizer boxes for my kids! Sweetened only with stevia and xylitol, these vitamins taste great, come in fun shapes, and include lots of great vitamins and nutrients that your growing kids need---including a little bit of iron to help overcome iron deficiency! We highly recommend this great product and are excited to be able to offer it to you. FINALLY winter seems to be behind us (for most of the USA!) and warmer temperatures are on the way. Several times already I've realized that it's sun screen season once again, and I've been reminding my boys to get their Bee Shade on! Vitamin C is well known as an important and necessary nutrient for the human body. 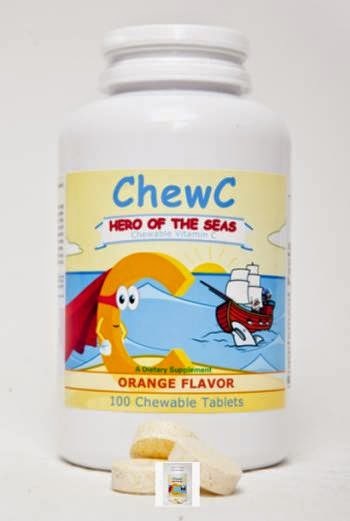 Our new Chew C uses a base of Vitamin C, Orange Juice Powder, and Acerola Powder. Citrus bioflavenoids are added to increase antioxidant properties. Plus, it tastes GREAT! Your kids will enjoy the taste, so it's an easy way to make sure they are getting what they need. Head lice strikes at all times of year, and there is no convenient time for it! Every year we hear about kids with head lice during the school year, and even at summer camp! Don't let it happen to your kiddo. 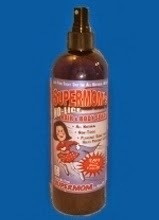 Keep the cooties away with Supermom's No-Lice Hair and Body Spray. It smells great and works even better. Right now you can get it at a great sale price, while we have it in stock. We have had some trouble with a supplier, so I'm not sure when we will have a new batch available to sell. The spray lasts for a long time, so go ahead and get it now while it's available and you'll know you're covered. Vanilla is BACK, Christmas Specials, and more! Well, honestly, I just don't like to jump right into SELL SELL SELL when my Thanksgiving dinner hasn't even had time to settle. I love the coziness of this time of year and wanted to just savor it. I have new product news, and some special deals for you as well. 1. Vanilla is back! Since the last batch of pure double-strength Madagascar vanilla extract was so wonderful, I made more, except I got fancy about it. This time around you can choose from the same great traditional vanilla, an organic vanilla, or a Kentucky bourbon vanilla! Quantities are limited (especially on the organic and bourbon varieties) so get your order in quick! These look beautiful and make a great gift! 3. Quantities on everything are limited right now. Tis the season when I try to clear the shelves here. Not only does the IRS tax me on any income I earn, but they also tax me on all of the inventory left on my shelves at the end of the year! :( So, I won't be getting any more product in stock until January. We have plenty of most things here, though some are already sold out or we may have just one or two of some things left in stock. If you want to order, do it soon, and I'll give priority on a first-ordered-first-served basis. 1. Get 20% back (in the form of a gift voucher) on your product purchases! 2. Every purchase this month gets you a FREE copy of my ebook Supermom's Favorite Family Recipes for the Hurried, Harried, and Hungry! This books has lots of great crock pot and cozy recipes that you will enjoy making (and eating!) this winter. Retail price is $12.99, but I'll email you a copy for free! (Give me a day or so to get this done, ok?) Read all about this ebook here. 3. Free for all: My oldest son and I have a little business in the homeschool realm, and we have a Christmas freebie there that is available to you (and everyone!). Please help yourself and enjoy. :) Clickety click. 4. Free Shipping within the USA on all orders of at least $30! We use Priority Mail, so you'll get it fast. Normally orders go out within 24 hours. Tis the season for pumpkin and spice! We're celebrating with this wonderful soap. 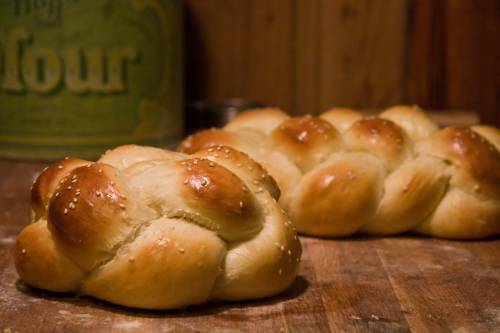 It's perfect for your whole family, and makes a delightful gift for hostesses and friends! It smells wonderful, feels wonderful, and comes wrapped in an adorable pumpkin fabric. A good deal gets even better! Since our main wholesale source changed their policy for retailers, we've been unable to regularly offer store-wide sales. Thankfully, today is an exception! From now til the end of September you will get 10% off your entire order. Just click through here for your automatic discount. In addition, don't forget that you'll get FREE SHIPPING on all orders of at least $30! 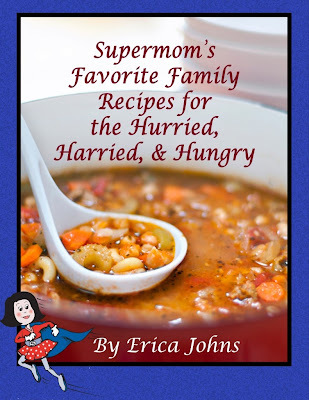 AND, you'll get a free copy of my ebook, Supermom's Favorite Family Recipes for the Hurried, Harried, & Hungry, which normally sells for $12.99. You can read more about it here. Fall is in the air! It's time to get the comfort food happening. Let the crock pot be fired up and casseroles await your call in the freezer! I love this ebook because I love these recipes. They are easy and delicious and comforting for fall and winter. You can read all about it here. I love it so much that I want to give it to you so you can love it too! This ebook normally sells for $12.99. You're gonna be able to get it for FREE! 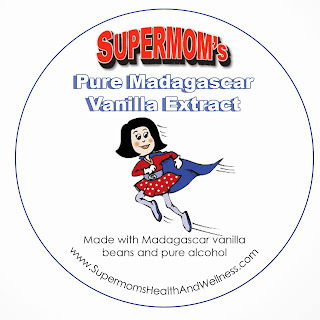 If you order from Supermom's, don't forget that you can score FREE shipping with any $30+ order. One bottle of Supermom or Superdad vitamins will get you there! Also, Bee Strong and Ultra Immune are on sale right now, so take advantage of that as well. 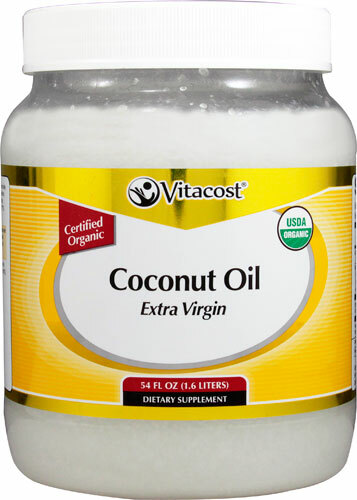 GREAT Deal on Coconut Oil! There is a really GREAT deal on coconut oil right now. You will *not* want to miss it if you are a fan of this healthy, versatile oil. If your order is at least $25, you'll get free shipping. If you don't already have an account with Vitacost, create one through my referral link here and they'll send you a coupon for $10 off a $30+ order! If you are already a registered Vitacost customer, use coupon code Bevita6 to get $5 off! In order to bump your total up to $25 and get the free shipping, you can either add a small item to make up the couple of bucks you need, or just take full advantage of this great sale and buy a third tub of coconut oil! This is the cheapest price I have ever seen, so this is a great opportunity to stock up! I use coconut oil instead of butter in all sorts of baking, you can use it in raw recipes, and you can even use it to moisturize your skin and soothe sore/chapped/dry/injured skin! It's wonderful stuff. I just used up the last of my previous big tub of Vitacost's coconut oil so the timing is perfect for me on this. I hope it is a help to you! I've got some good deals for you this week! First: FREE SHIPPING on your order of at least $30! Hurry and stock up without the additional shipping cost. Clickety click to go to the store. Second: Half Price on all of my ebooks! 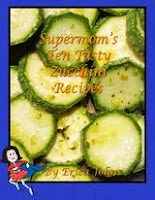 Ready to put that zucchini to use? Needing to get a good plan for fall and winter meals? I've got what you need! Click here for ebook descriptions, or jump to the order page and use coupon code HALFPRICE. than the sum of the individual elements." Since 2008 I've been working with so many people, helping them learn how to eat healthier without going broke, without eating weird stuff, and without going to extremes. It's been great, but my class members would often tell me that they want even more support and continuing help so that they could keep working toward their goals. As a busy wife and homeschooling mom myself, I have wanted to offer more, but wasn't sure what I could do that could give my class members more without stretching myself too thin. I've tossed around many ideas, gotten feedback from many past class members, and finally have what I think is going to be an absolutely fabulous resource for you. I call it Supermom's Synergy Circle. Synergy is defined as "the interaction of elements, that when combined, product a total effect that is greater than the sum of the individual elements." That is exactly what I have created for you here: Multiple elements to the group that will all work together to give you MORE education, MORE support, MORE coaching, MORE inspiration and ideas, MORE accountability, MORE motivation, MORE community, and MORE benefits than ever before. 1. You get my 12-week long online class to get you going with the knowledge and practical tips that will get you up and running. 2. You get all four of my healthy eating ebooks, so you'll have a lot of great recipes and ideas right away to start with. 3. You can participate in two group coaching calls a month so that you can ask your questions and benefit from hearing how others in the group are doing things. The days and times will vary, depending on the need of the group, and in order to help as many members as possible. These will be recorded, so even if you can't be there live every time, you can still listen and benefit from the session. 4. You can take advantage of Super Speedy Coaching Calls at least twice a month as well. Super Speedy Coaching is a quick 10-minute long one-on-one phone session with me available to focus on helping you with your specific needs. This quick style works great for all of us that are so busy and just have a quick question or two for the moment. I'll have at least two hours blocked out per month when members can call me for personalized coaching. 6. As new products and services come available, Supermom's Synergy Circle Members will be eligible for the deepest discounts available. I'm also open to letting the group evolve according to the needs of the members. So, additional services and benefits may come as I get to know you all and learn more about how I can help *you* best. Supermom's Synergy Circle is going to give you so many connection points and so much support! You are going to love it and I am going to love getting to spend more time with each of you! This is something I have said for years I wished I could do, and now it is here and I am really excited about that. To learn more details about the program, click here! Ready to join us? Click here! I know this might bring the grain-hating crusaders out of the woodwork, but I want to speak up. Swearing off whole wheat and all grains is really, really popular right now. It seems that every third person has suddenly discovered they are gluten intolerant. It reminds me of 20 years ago when every third person was lactose intolerant. (and now most of those people are back to consuming dairy and most of the lactose-intolerance products are long gone) Suddenly everybody is suffering from eating something that we've been eating all along, and this was just figured out in the last 5 years? Um....ok. While I FULLY respect your experience, I just cannot get on board with this myself, nor as a sweeping generalization for all people. or general extraordinary wonderfulness either during my fast or after it. which was a better reaction than I had experienced with anything else I had eaten since exiting the fast. I didn't experience any adverse reactions that I could identify, and so wheat and brown rice and oatmeal have continued to be a regular part of my diet ever since. I'm in the midst of updating my healthy eating class today, and I wondered about my recommendation of using whole wheat and other whole grains as a part of a healthy diet. Seeing as how most people are eating non-whole grains all the time, I have to believe that switching to whole grains will be healthier for them. For people that suspect that they may have an intolerance to wheat/gluten/whatever, I think you should do a serious experiment with eliminating it from your diet and see what happens. I know my mom is experiencing some encouraging health improvements after going gluten-free, and I think that's great. What I cannot support is the vast vilification of all grains for all people. Yes, I read Wheat Belly. All of it. And that is one of the reasons I decided to do the juice fast. But I remain unconvinced. Sorry. 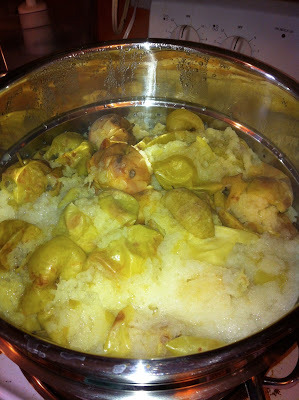 Back in the day when I was young and newly married, my husband's sweet parents would make homemade applesauce that they canned and then brought to us when they came to visit. They had purchased local apples, and then one by one they had peeled, sliced, and cored every. single. one. and THEN cooked them on the stove top in a large pot with a little water in the bottom, taking special care to make sure it didn't scorch on the bottom. So that is how I learned to do it, too. And when I think about how many millions of lightyears easier it is for me to make applesauce now, I practically weep inside for that young, eager mother of little ones who spent many back-breaking hours peeling and coring. If you are doing all that work to make applesauce, first: YOU ROCK! Second, STOP and READ THIS INSTEAD! Your misery is almost over. The Back to Basics Food Strainer makes peeling a coring a thing of the past! This fabulous steamer means that I only have to wash my apples to prepare them for sauce and juice-making! 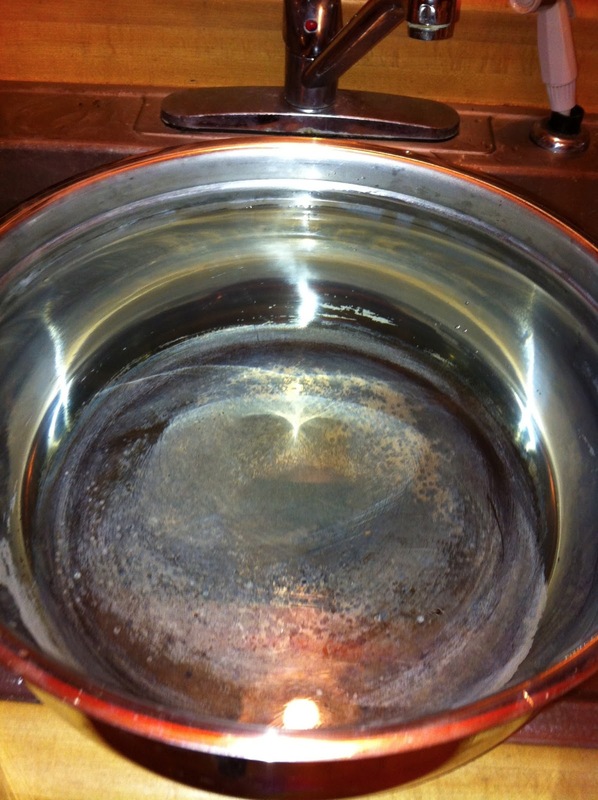 The bottom pan is filled with water. 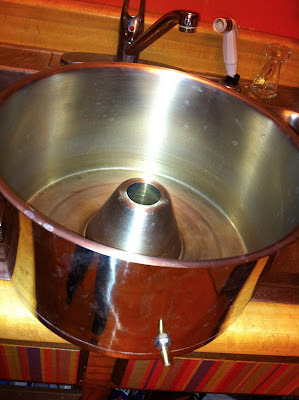 This will be heated to boiling and produce steam. Lots and lots of steam. 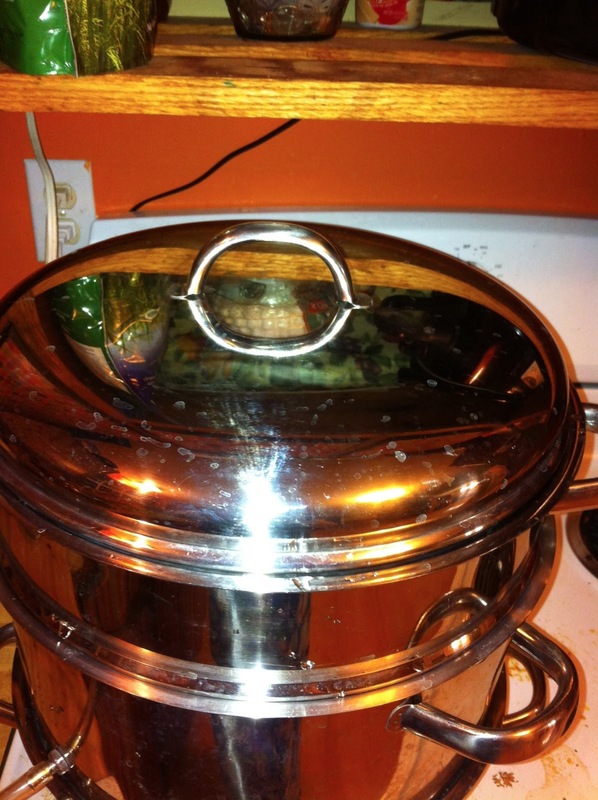 I try to remember to check the water level each time I finish taking steamed apples out of the top. Otherwise your pan can go dry and get damaged, as happened to mine a long time ago. 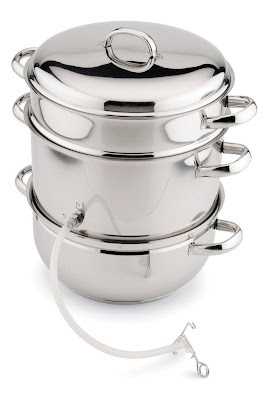 Thankfully, this stainless steel set is extremely sturdy and continues to serve us well despite my mistake. The next pan that nests inside of the bottom one allows the steam to rise up through the center cone. This pan also collects beautiful juice! The next layer is the colander. Fruit goes in here. The steam comes up through the holes and gently cooks the fruit without ever burning it. 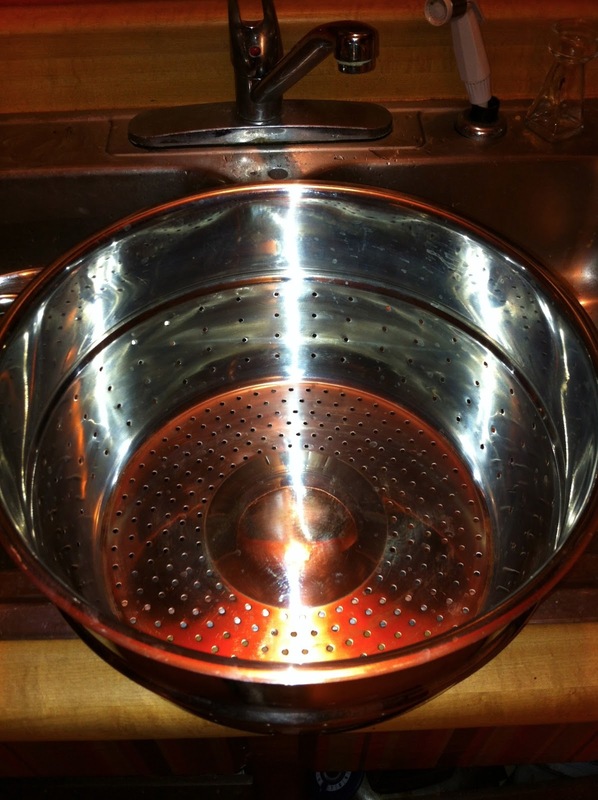 The fruit bursts open and releases juice, which drips through the colander and is held in the lower juice reservoir. Notice that the middle spot does not have holes in it. This is so that you don't lose any juice that would fall down through that open cone spot below it. Here are my washed apples filling the colander level to the tippy-top. 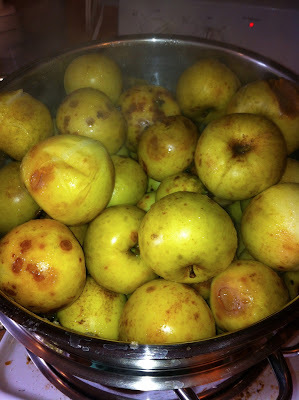 Although our apples weren't all perfectly beautiful this year, they had no bugs or worms, and so all I did was wash them and throw them in the pot. Put the top on and let it roll! I leave the burner on high so the water in the bottom boils continuously. These apples had been steaming for about 20 minutes. You can see that they are starting to burst. While they could probably go through the food strainer at this point, letting them steam for a few more minutes will make it even easier. After about 25 minutes or so the apples are super smooshy and easy to run through the food strainer. 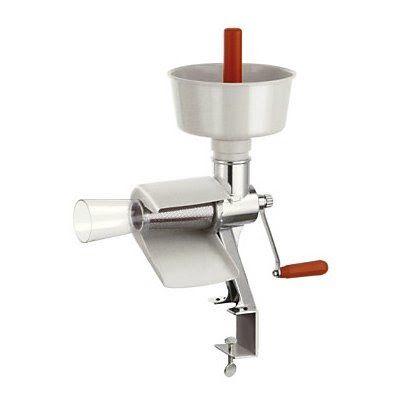 The Victorio Strainer in the above video is basically the same idea as the one I have, except mine is a little less expensive. Nevertheless, the idea is that you put your fruit in the top funnel, turn the crank (easy and fun for kids to do), and out one side comes perfect applesauce, and out the other side comes peels and cores. This works great for tomatoes, too! 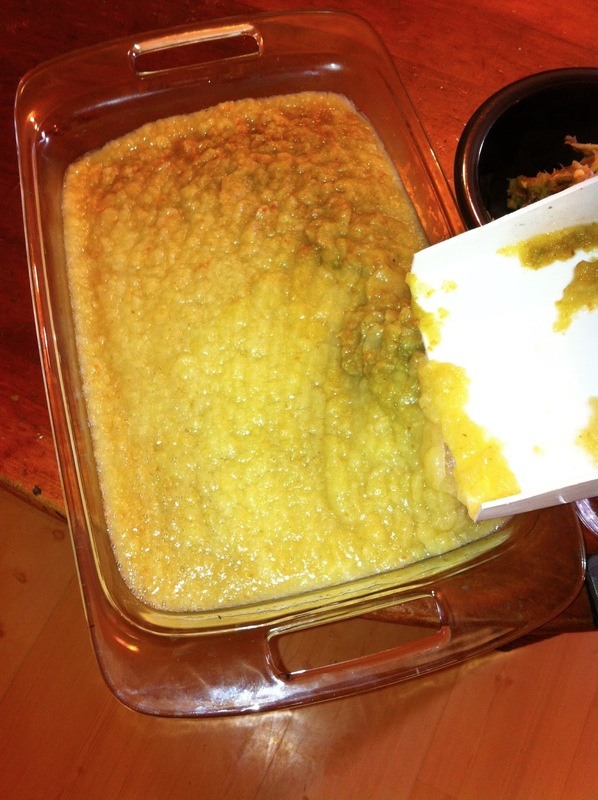 For each full colander of apples that we steamed we got a little more than a full 9x13 pan of applesauce. Since the apples we're working with right now are June apples, they are pretty sour, so the sauce needed to be sweetened. This year I experimented with using Sweet Leaf Stevia, Coconut Sugar, and finally some nice local honey. The honey ended up being our favorite, by far. It was also less expensive than the Coconut Sugar. I don't have a specific recipe to recommend to you for sweetening your applesauce. It's really going to depend on your apples and how sweet you want your applesauce to be. So just experiment little by little until you get a feel for how much honey (or other sweetener) you need to add to get it just right. We also got some nice apple juice at the same time we were making the applesauce! 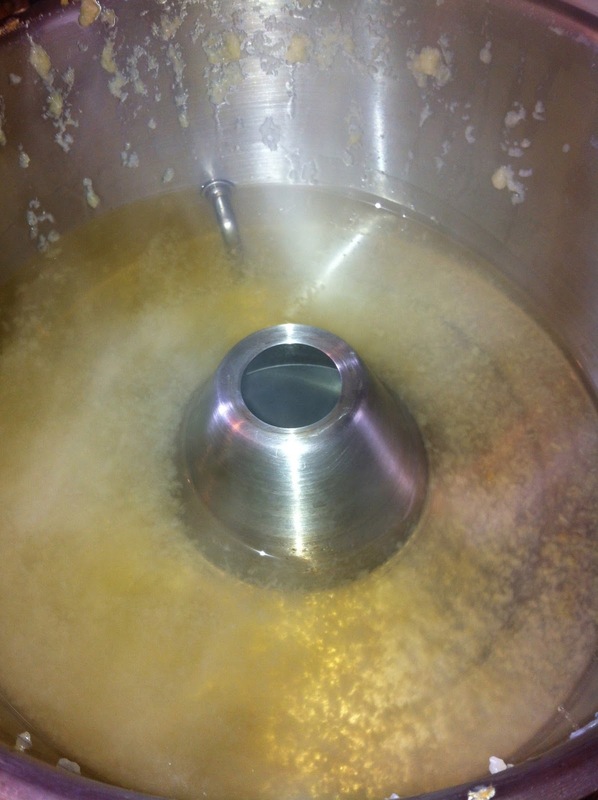 Here is a picture of some collected juice in the steamer. Some little bits of apple do come through, so if you don't mind pulp, you can keep it, or if you do, you'll eventually want to strain off the pulp (and add it back into the applesauce) with a fine sieve. You may have noticed that the juice reservoir has a tube running out the side of it. Toward the end of the tube is a clamp. 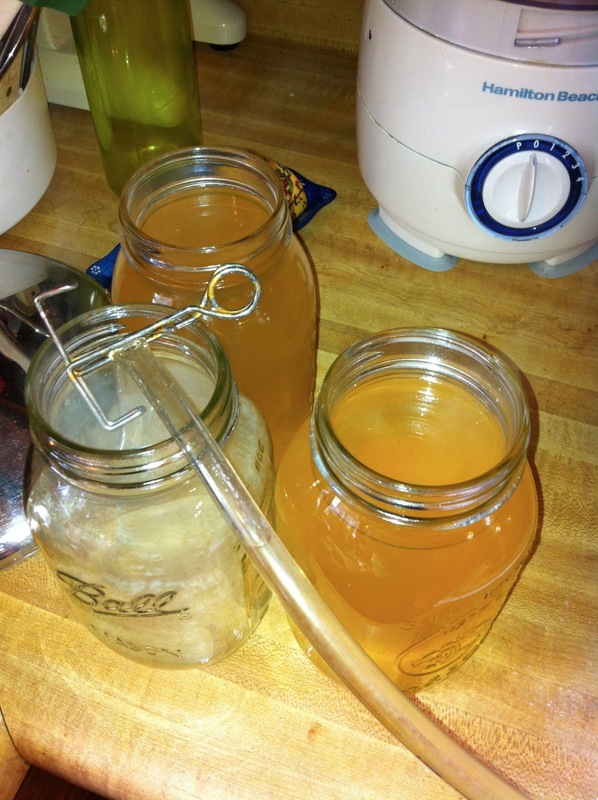 When you're ready to get your apple juice, get out your glass jars, stick the hose in, and then squeeze the clamp to release the pressure on it and the juice will come out easily. Again, because these were sour June apples, we choose to sweeten the juice with Sweet Leaf Stevia. 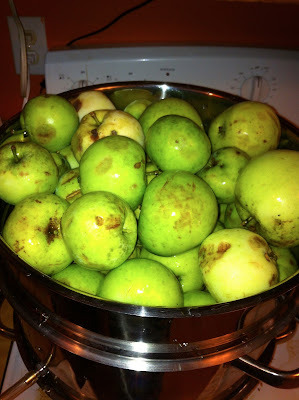 With the help of my food strainer and the steamer I was able to process a large laundry basket full of organic apples from our bad yard in less than 4 hours, including cleanup time. That is time well-spent! Have you ever made applesauce? What tips would you want to share with us? Many years ago when I first opened Supermom's Health and Wellness, it was very challenging to find some of my favorite products if a person didn't live near a health food store. Thankfully, as time has gone on, Amazon has become an absolutely fabulous resource for almost all of my favorite healthy staples. Product reviews let you know how others feel about the items, and if there is something that people like better. When trying new things, it's especially nice to have some assurance from other customers that what you're considering getting is a good product. Free Shipping! Most of what's available on amazon is eligible for free shipping with a low minimum order. Lots of that is available for even faster shipping through the Amazon Prime program, which I love! --The even lower price, off of what was already a GREAT price to begin with! --I never forget what items I like to get and never have to look them up again. I can easily see from my Subscribe & Save management area what I bought last time. --Amazon sends an email about about a week before it's time for your next Subscribe & Save shipment. This I especially love because I have the opportunity to adjust my order. If I don't want to get an item this time around, it's a simple click to solve. If I need a different quantity than I ordered last time, I can change that too. It also shows me if the price is higher or lower than last time I bought, so if I bought something when it was on sale but now it is not, I know that and can decide if I want to get it at the current price. And if I don't want something at all, that's easy to click and remove as well. --Basically, there is no risk to you taking the good deal on the Subscribe & Save price when you are buying something. Amazon allows you to discontinue that item and never get it again, easily and with no hijinks. All-in-all, Subscribe & Save gives me great prices that are normally lower than I would have gotten in-store, and I don't have to leave the house to get it done. The ease of using the system is fabulous, and there are no sneaky tricks to worry about. What do I buy from Amazon? Here's a list of a few things I regularly get through my Subscribe & Save? I also buy birthday and Christmas gifts, school supplies, household goods, office supplies, and many other things from Amazon. It makes my life so much easier! So, you'll see me recommending Amazon for a ton of products nowadays. I feel like they system is so beautifully easy to use, it's definitely a wonderful tool available to busy and budget-conscious families! I hope this post has been helpful to you in understanding how Amazon can help YOU! Are you an Amazon shopper? Do you use Subscribe & Save? You Might Want to Check Out....Aldi! And now? MORE organics are coming! Starting July 10, 2013 there will be quite a few organic items on special for the week, so you'll want to get in there with your cash or debit card and buy 'em while they are available! Also, organic grass-fed beef and antibiotic-free chicken! You can read more about the specifics of what's coming here, and check out this helpful article about buying whole foods at Aldi's. And, for those of you who do not know the mysterious ways of shopping at Aldi's, you simply must learn the ropes here. I'd love to know: Do you have an Aldi near you? Have you ever shopped there? For seasoned Aldi shoppers, tell us your best tips for what to buy!